Strolling through the French Quarter, in New Orleans, you can happen upon some unusual sites. While many may be on the quirky side, the French Quarter Visitor Center was a pleasurable way to learn more about the area we were exploring. Tucked away in the notorious French Quarter, this space may be diminutive, but the information contained inside is expansive. 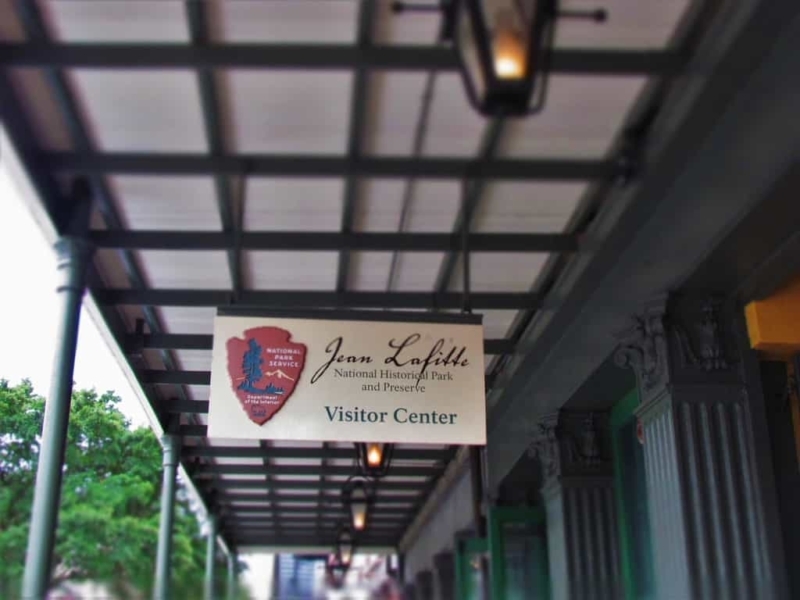 The French Quarter Visitor Center is part of a group of sites that make up the Jean Lafitte grouping. Scattered across Louisiana, the spaces cover battlefields, wetlands, and cultural history for the Mississippi River Delta region. In the early 1800’s, pirates plied the waters of the Gulf of Mexico and Caribbean Sea. Although his family origins are vague, he was known to be operating a warehouse in New Orleans by 1805. The city of New Orleans was nearly 100 years old by that time. In 1803, the city was included in the lands purchased by the United States in the Louisiana Purchase. This was the impetus for rapid growth, as a variety of immigrants swarmed into the Crescent City. During the same period, thousands of refugees would arrive, after fleeing the Haitian Revolution. To help curb pirating, the United States government instituted an embargo act in 1807. After the embargo, Jean Lafitte moved his smuggling operation to Barataria Bay, located in the islands south of the city. His ongoing business soon became a point of conflict with local authorities. 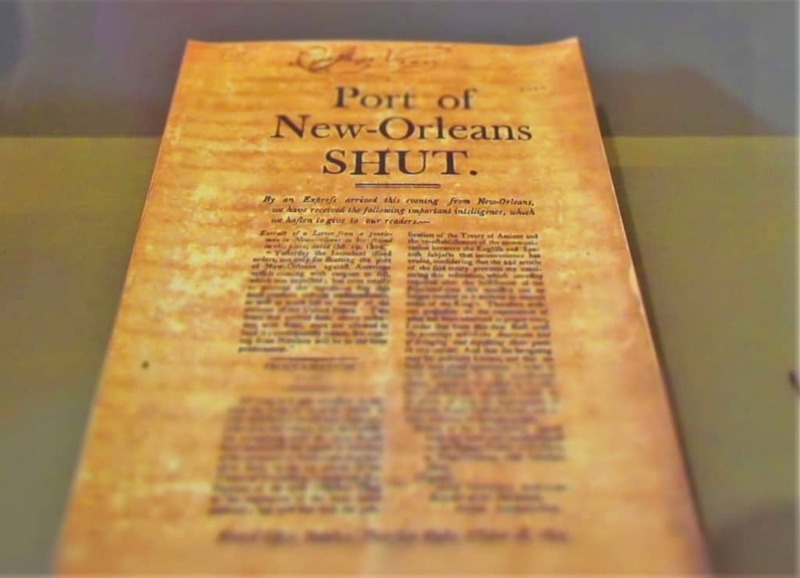 A series of conflicts, eventually led to Lafitte’s arrest and conviction for acts of piracy. 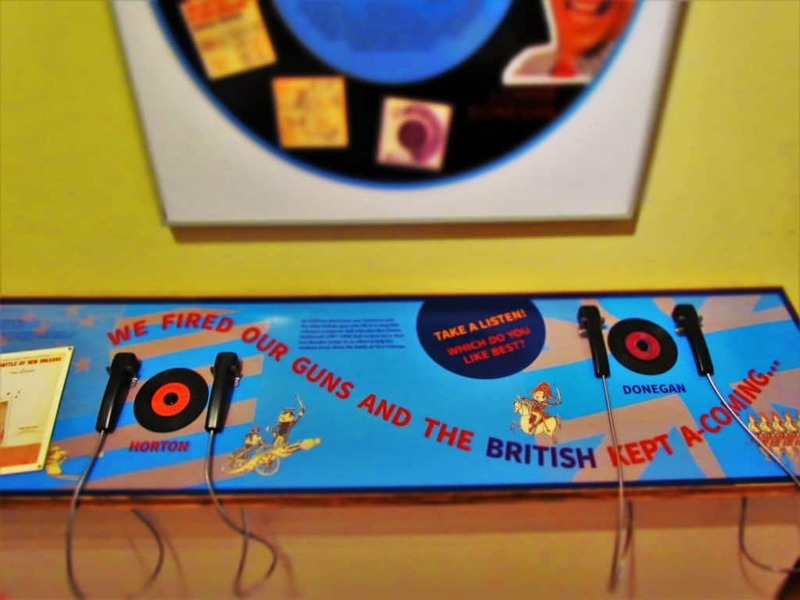 These events coincided with the United States entering into conflict with England, during the War of 1812. The U.S. feared that Lafitte would join forces with the British, and they attacked his smuggling stronghold in the fall of 1814. General Andrew Jackson arrived before the end of the year, and found New Orleans to be almost completely defenseless. 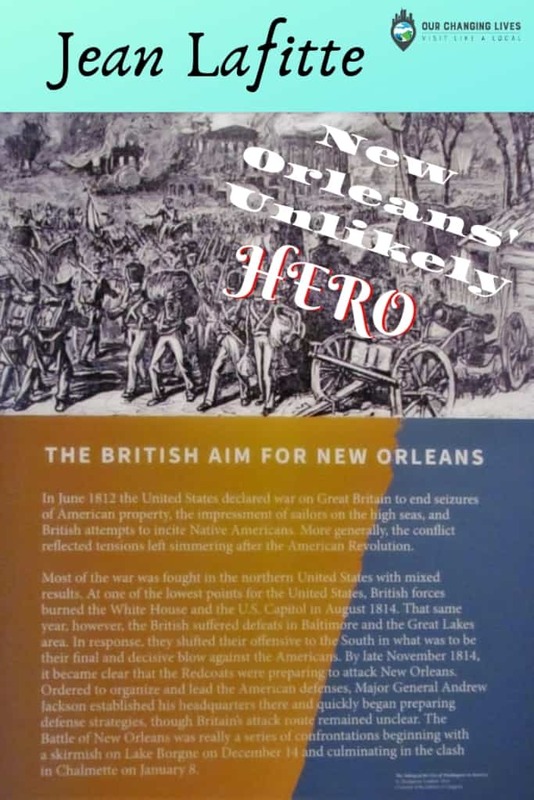 Jackson realized that he needed to forge an alliance with Jean Lafitte, if the city was to be defended. When Andrew Jackson met with Jean Lafitte, a compromise was found. All of Lafitte’s men, who agreed to serve, would be pardoned. At Lafitte’s urging, they were able to man the available ships, with enough left over to create three infantry companies. Just in time, as the British ships arrived a couple of weeks later. A few small skirmishes occured over the following days, but they were merely a precursor to what was ahead. January 8, 1815 would mark the last major battle of the War of 1812. A series of delays on the side of the British allowed the American forces time to prepare for the attack. 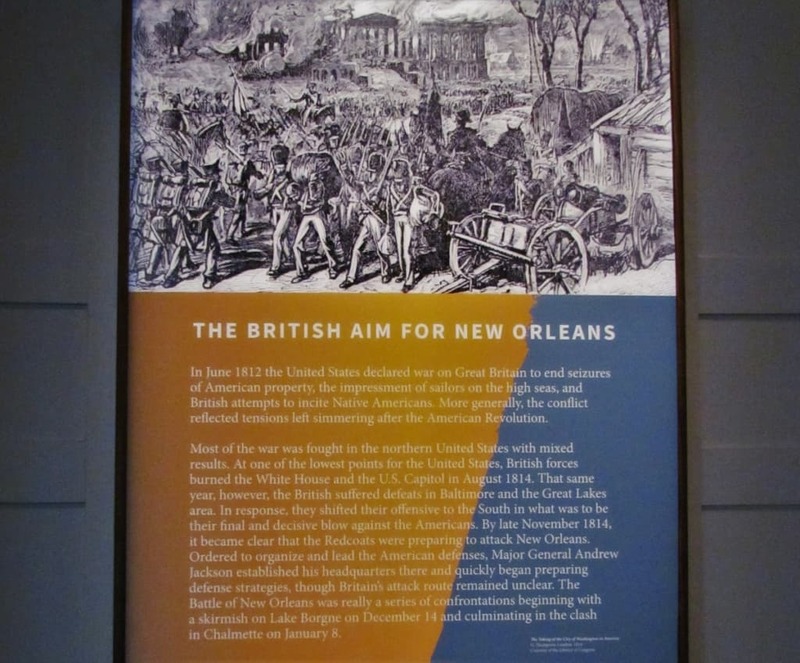 After losing over 2000 men, the British were finally repelled and eventually sailed east from New Orleans. The American forces suffered a loss of less than 100 men. General Jackson commended Lafitte for his role in the Battle of New Orleans, and President James Madison issued a pardon for Him and his men. This final battle became a legendary victory that was memorialized in stories and songs. The French Quarter Visitor Center offers guests a peek inside the 78 square blocks that make up this unique tourist destination. The entire French Quarter district is designated as a National Historic Landmark. Many of the buildings date from the 1700’s through the 1800’s. A combination of Spanish and French designs are evident in the architecture. These days, travelers will find a collection of shops, restaurants, bars, and hotels occupying the historic buildings. As you pass down the ages old streets, the sounds of the city float through the air. At the visitor center you can hear examples of the various music types, which makes it easier to identify when wandering the Quarter. The sounds and sights of New Orleans have changed, since the days when Jean Lafitte wandered the French Quarter. Some things have stood the test of time, like the tastes brought to the area by the various cultures. These days, these flavors have blended together to create the unique cuisines that come to mind when the city is mentioned. Gumbo, jambalaya, beignets, muffulettas, and Po-boys are just a few of the dishes that are tied to the history of The Big Easy. 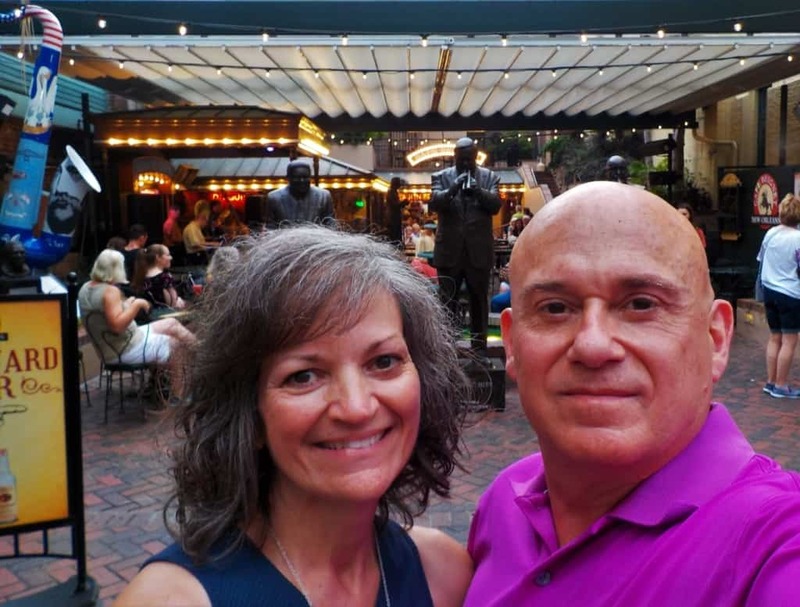 Having an opportunity to revisit New Orleans was one of the highlights of our year. The Big Easy is unlike any other American city, and needs to be experienced at least once. The unique atmosphere makes it easy to imagine the days when characters like Jean Lafitte wandered the streets and alleys. Walking through the avenues, you can almost feel their presence still enveloped in the mood of this river city. Of course, there have been plenty of changes, since those days. Today you will see cruise ships lining the docks and freighters plying the waters of the Mississippi River. We have to wonder how the pirates would have handled these advancements. Are you ready to experience the Crescent City for yourself? Share this with your party people! A very informative post. 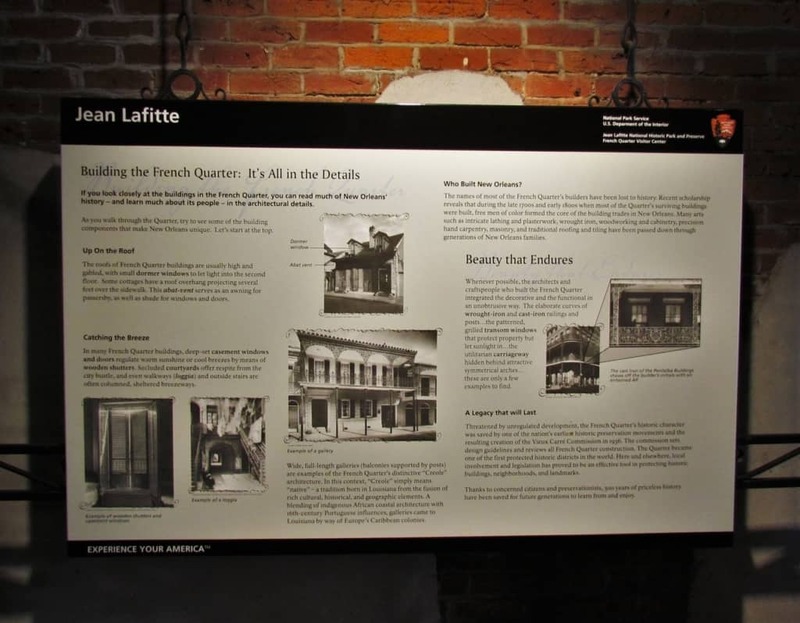 I had never heard of Jean Lafitte before, so it was nice to learn something new and get an expanded history lesson. One day I hope to visit New Orleans as it seems like a place rich in history and culture. It is certainly a city unlike any other. Hope you get to experience it.